an IBEW and Local #3 Member. Our knowledgeable, friendly staff strive to give you exactly what you need, at the time you need it by executing every order to your satisfaction. Our service is what sets us apart from our competitors. 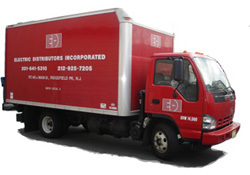 You can count on EDI to deliver the right product to the right place at the time needed. Click here to see our work scope list.